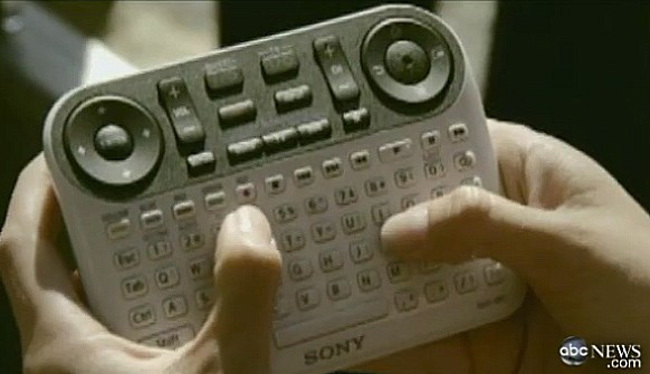 Sony’s new Google TV controller, (never seen before) was glimpsed on ABC Nightline’s Google TV special today. The new controller combines both mouse and keyboard together with your standard TV controls such as programming, channels and volume. As you can see by the picture above the new controller features a full QWERTY keyboard and two D-Pads on either side at the top. Let hope all is revealed in Sony Google TV event on October 12th in NewYork. Where Sony is expected to unveil more information about its Bravia Internet TVs and Blu-ray players with Google TV integration. Sony has now officially announced their range of Google TV HDTVs full details below.